We did a story about Black Sabbath’s Geezer Butler’s bass guitar sticker that proudly read, “Enjoy Cocaine”. Eric Clapton of course, took it to another level in 1977 when he covered a J.J. Cale song which he would make even more famous, “Cocaine“. 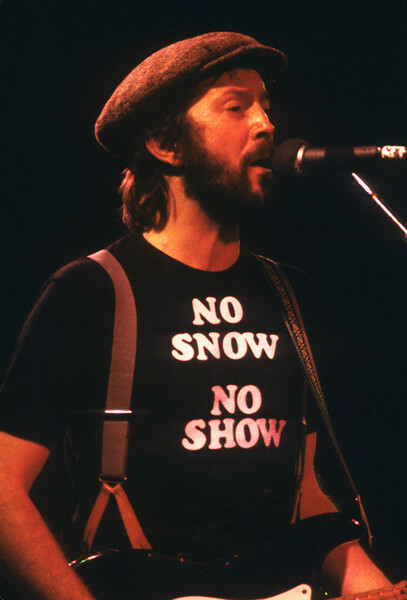 Wanting to make his pro drug message crystal clear, check out the “No Snow, No Show” shirt Clapton wore in concert at the Oakland Coliseum on February 10, 1978. In his autobiography, Clapton calculates that he was spending the current equivalent of 8,000 pounds — about $16,000 — a week on heroin alone. After he kicked heroin in 1977, he soldiered on by using tons of coke and drinking heavily. 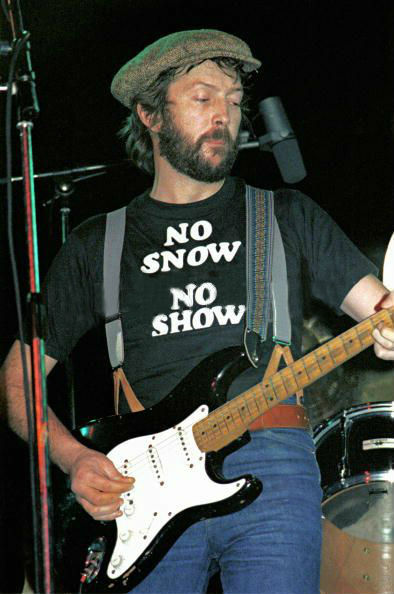 Thankfully, Clapton kicked the habit and has been sober for years but this awesome shirt lives on forever. 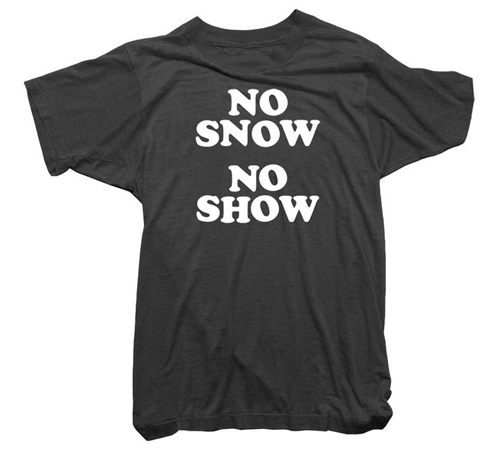 You can buy this shirt from Worn Free by clicking the image below. Use coupon code FEELNUMB to get $5.00 off your purchase.